Most financial advisers say you need a diversified portfolio of stocks to get the most for your money. However, they rarely tell you how many stocks you need before your risk is optimally spread around. Well, the sweet spot appears to be owning between 10 – 30 separate individual stocks. In his 1930s classic, The Intelligent Investor, Benjamin Graham said that the magic number was somewhere between 10 and 30 issues. In 1968, John Evans and Stephen Archer concluded that 10 stocks were enough. And in the 1970s, Burton Malkiel said 20 stocks will do in his book A Random Walk Down Wall Street. 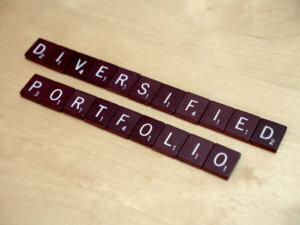 Other more recent studies have shown that the benefits of diversification tend to decline after 30 stocks. So, the sum total of about 70 years of research indicates you need between 10 and 30 separate individual stocks. Do We Rely On The Stock Market Too Much?